There are a few books worth reading over and over. 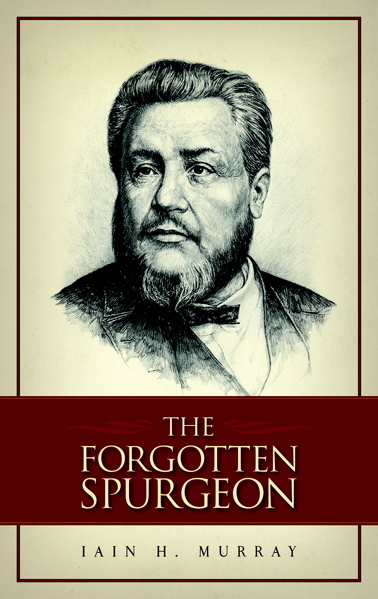 The Forgotten Spurgeon by Iain Murray is one of them. Murray is quick to point out that his work is not a biography. He does, however, seek to examine Spurgeon’s life and pastoral ministry in the context of three major controversies that ensued during his lifetime. The first controversy involved Spurgeon’s battle over “diluted evangelicalism.” The second controversy involved his passionate rebuttal of the God-dishonoring doctrine of baptismal regeneration. The third controversy, the so-called Downgrade movement took place from 1887 until his death in 1892. Spurgeon makes a strong appeal for men on both sides of the doctrinal controversy: “When some of us preach Calvinism, and some Arminianism, we cannot both be right … Truth does not vacillate like the pendulum which shakes backwards and forwards. It is not like the comet, which is here, there, and everywhere. One must be right; the other wrong” (p. 57). Spurgeon was an important man for 19th century England. And Spurgeon remains an inspiration to faithful preachers around the world. His commitment to the truth of Scripture, the framework found in the old-paths of the doctrines of grace, and his courage to proclaim these truths serve to strengthen pastors who find themselves in an ongoing ideological battleground. The Prince of Preachers reminds us, “The doctrine which is now rejected as the effete theory of Puritans and Calvinists will yet conquer human thought and reign supreme. As surely as the sun which sets tonight shall rise tomorrow at the predestined hour, so shall the truth of God shine forth over the whole earth” (p. 190).